HAND CRAFTED PARTIES ARE THE THEME OF TODAYS BLOG POST A CRAFTY LITTLE TEA PARTY SETTING. 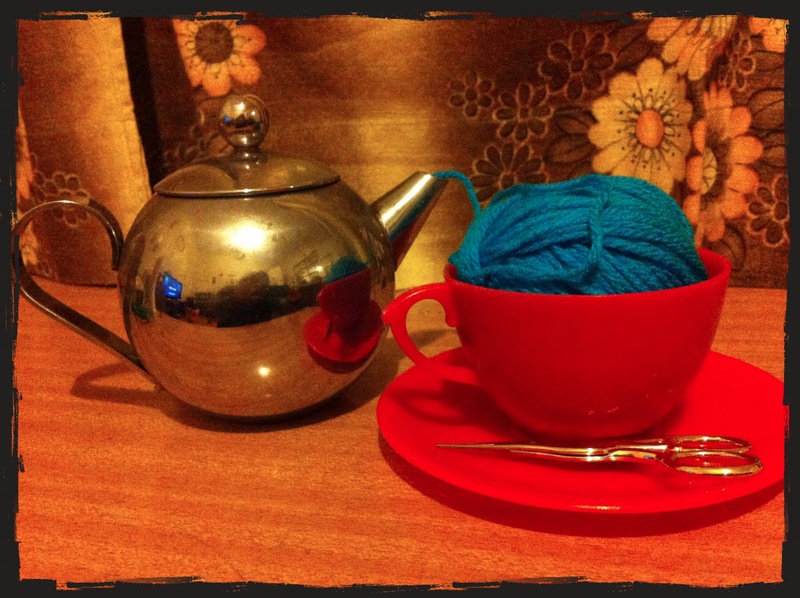 PERFECT FOR A KNITTING OR CROCHET PARTY. 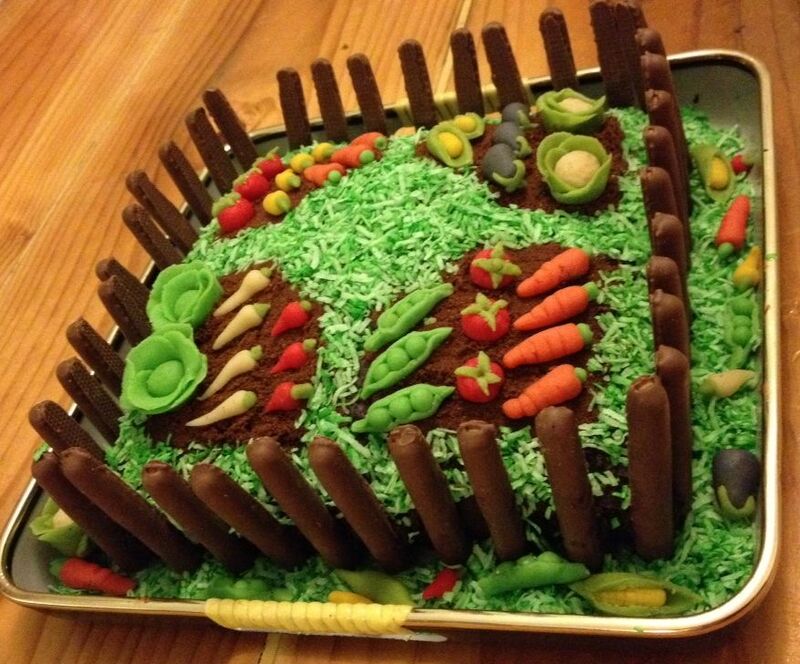 THIS CAKE IS A CRAFTY LITTLE GARDEN PARTY CAKE, WITH MARZIPAN CARROTS, PEAS, CORN, TOMATOES, EGGPLANT & CAULIFLOWER. 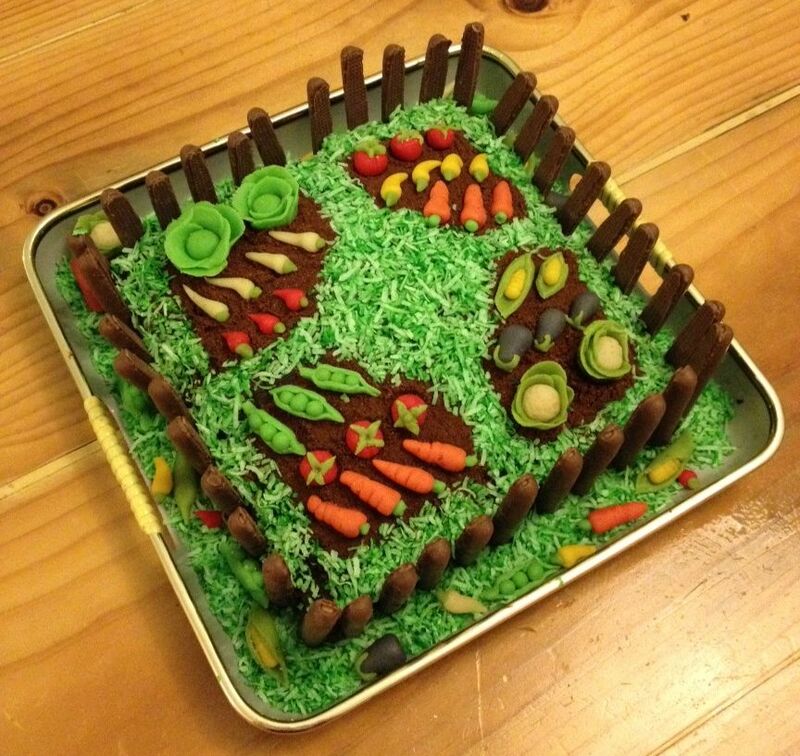 CHOCOLATE BISCUIT SOIL AND GREEN COCONUT GRASS. 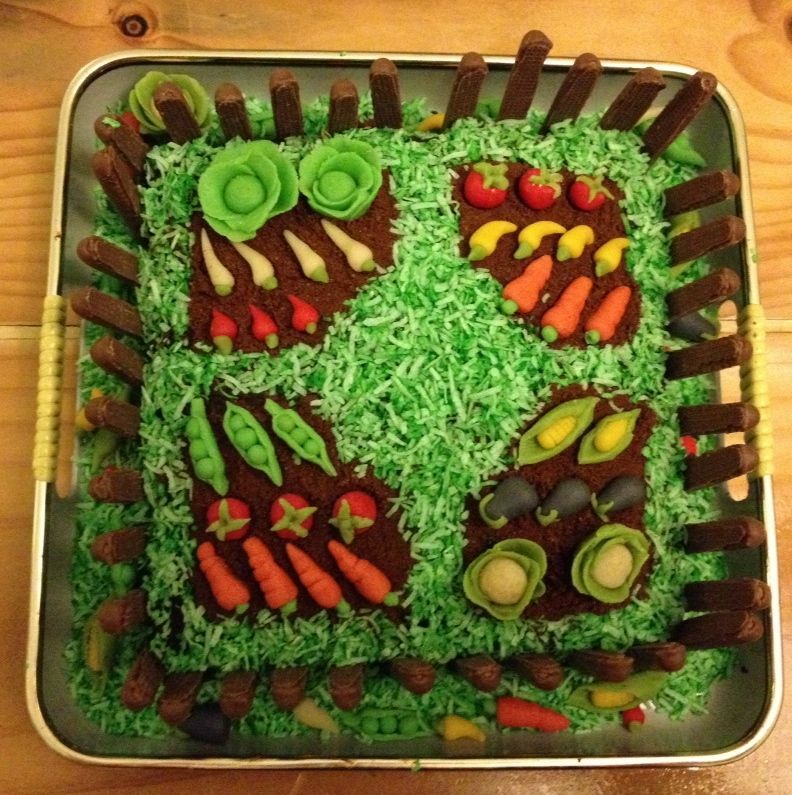 MY FRIENDS NUNYA AND IAIN HANDCRAFTED THIS CAKE WITH A LITTLE INSPIRATION FROM MARTHA STEWART. This entry was posted in Uncategorized and tagged CAKE, crochet, knitting, MARTHA STEWART, photography, TEA PARTY, yarn, yarn bombing on May 28, 2013 by yarnbomb. 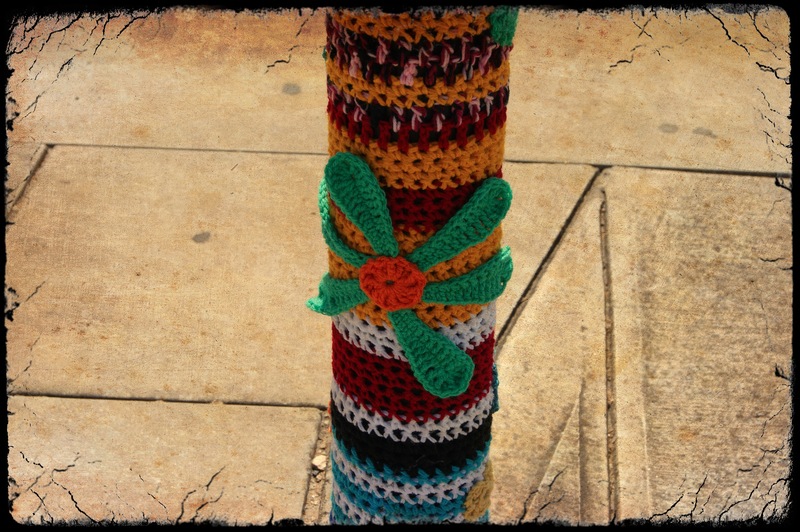 Crochet yarn bombing is the bomb on the base of this lamp pole. 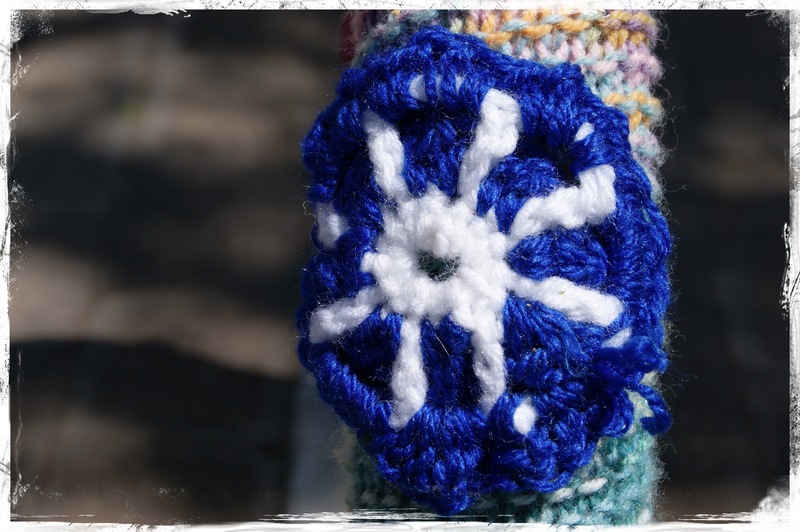 Crochet yarn bomb feature on a bike rack. 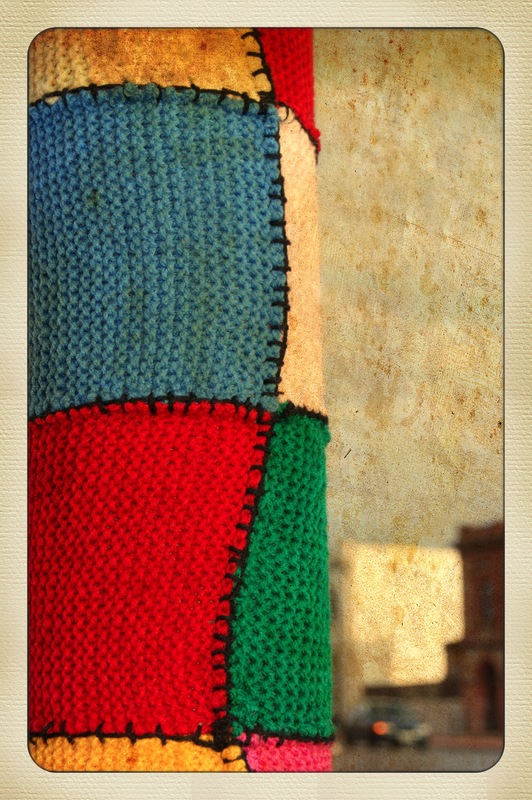 Chunky knitted yarn bombed hand rail on an old factory. 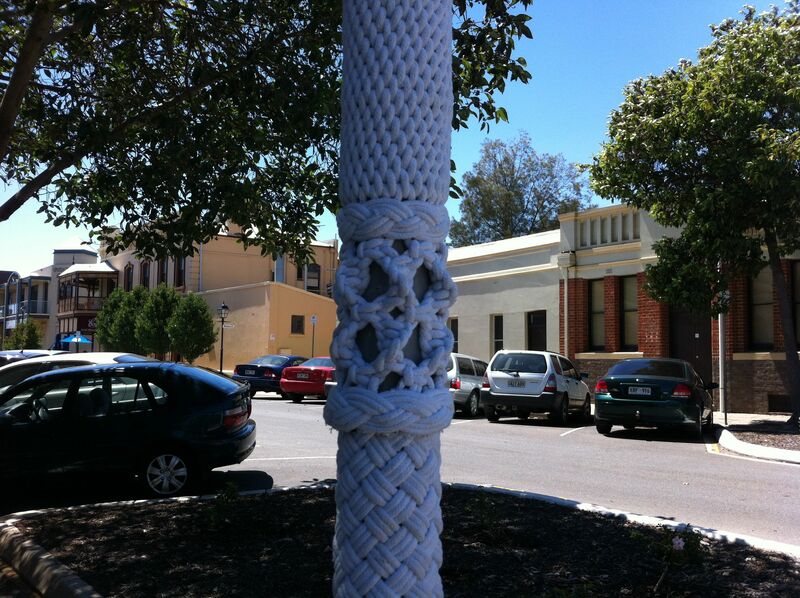 Yarn bombed tree trunk Port Adelaide South Australia. 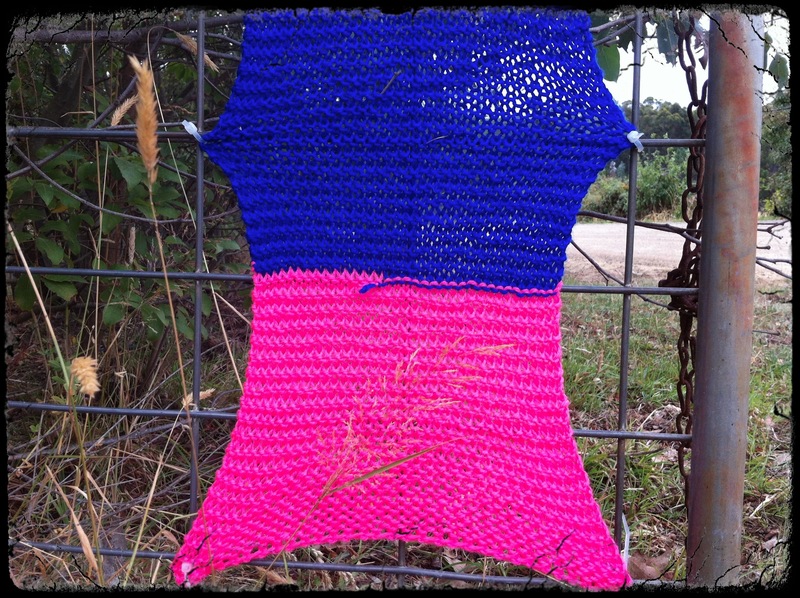 Knit bombed gate on a country road in Tasmania. 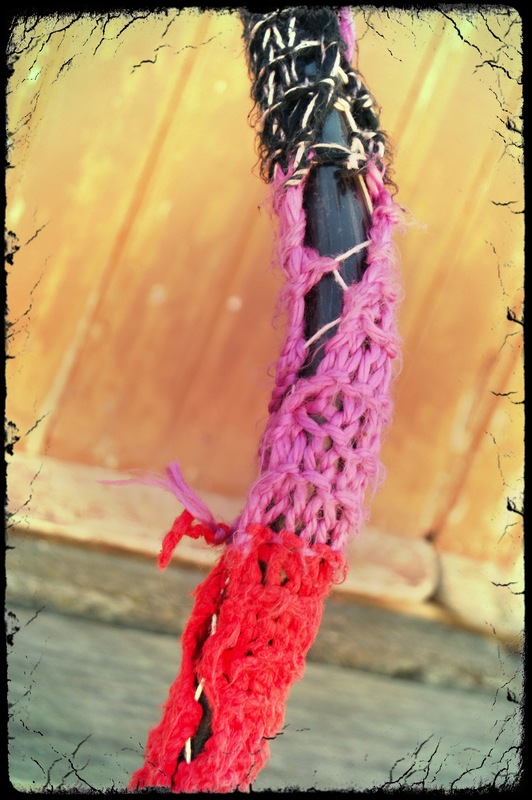 This entry was posted in Uncategorized and tagged craft, crochet, knitting, photography, texture, yarn, yarn bomb, yarn bombing on May 23, 2013 by yarnbomb. 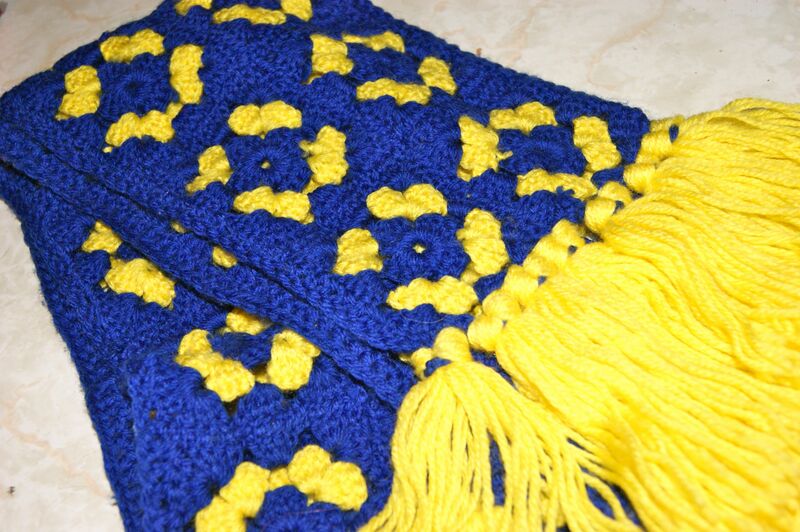 This scarf is made from simple crochet granny squares. 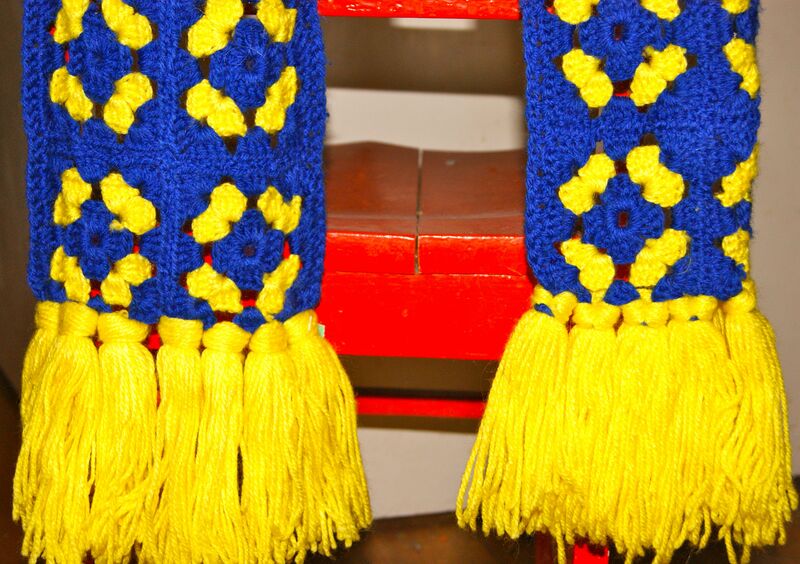 The neon colours of electric blue and fluorescent yellow are an unexpected combination but they work well. It’s nice to use colour for winter accessories. 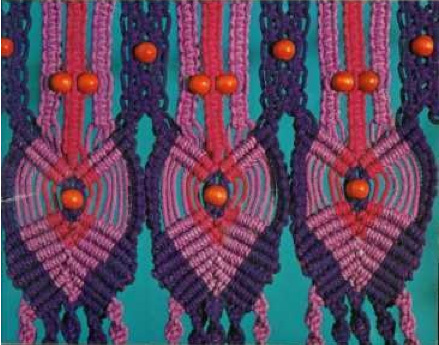 The scarf style is 1960’s but the colours are pure 1980’s. 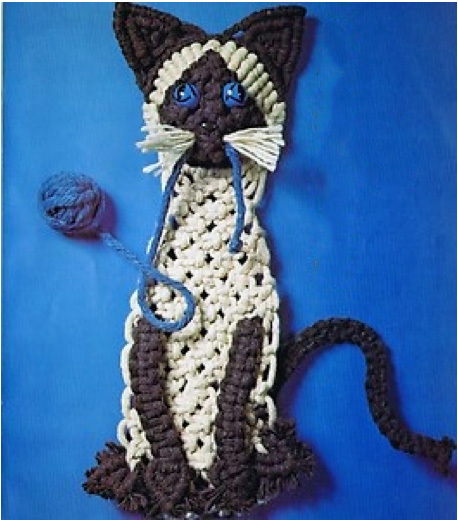 I have to confess that I didn’t crochet this myself. I found it at my local op shop in the middle of a hot summer. The colours took my fancy so I bought it and stashed it away until the Australian winter hit recently. 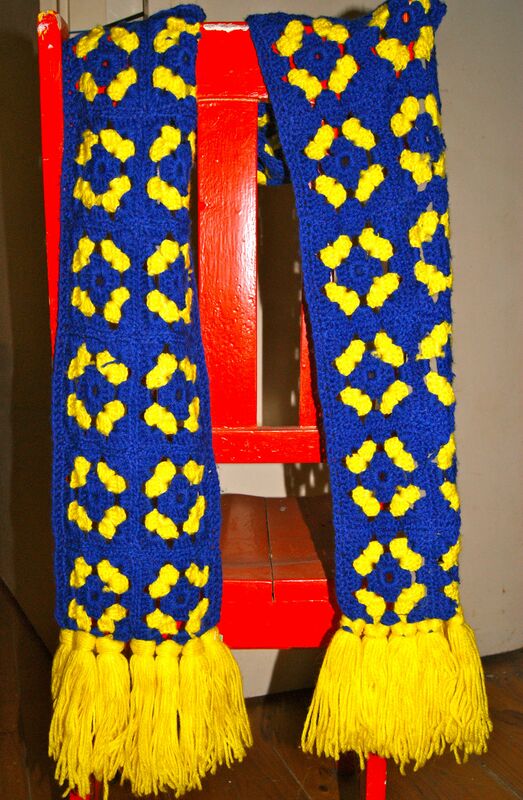 Hand crafted fashion pieces like this scarf are one of a kind. This entry was posted in Uncategorized and tagged craft, crochet, fashion, neon, scarf on May 21, 2013 by yarnbomb. 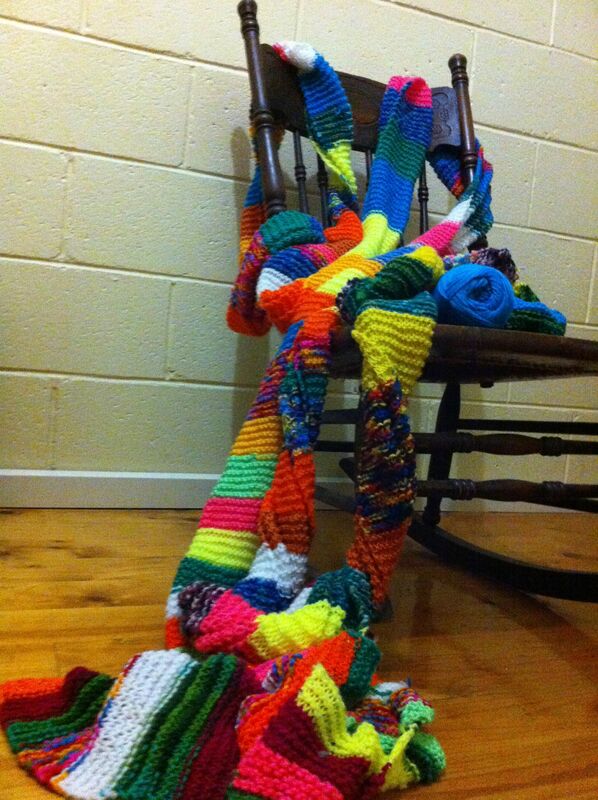 I HAVE BEEN KNITTING THIS RIDICULOUSLY LONG SCARF FOR ABOUT A MONTH NOW. IT’S ACTUALLY TO BULKY TO FIT IN MY KNITTING BASKET AND I’M KEEPING IT IN A LARGE DUFFEL BAG. 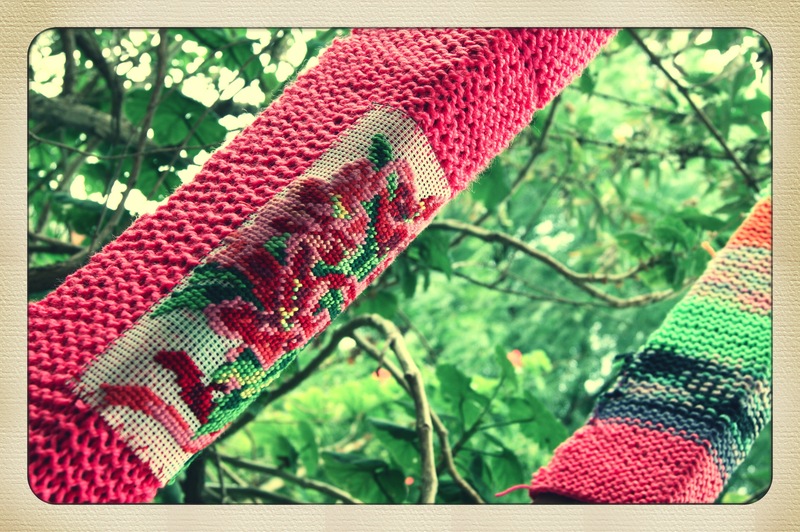 I’M ON A MISSION TO MAKE THIS SCARF AS LONG AND COLOURFUL AS I CAN, JUST BECAUSE I CAN ! 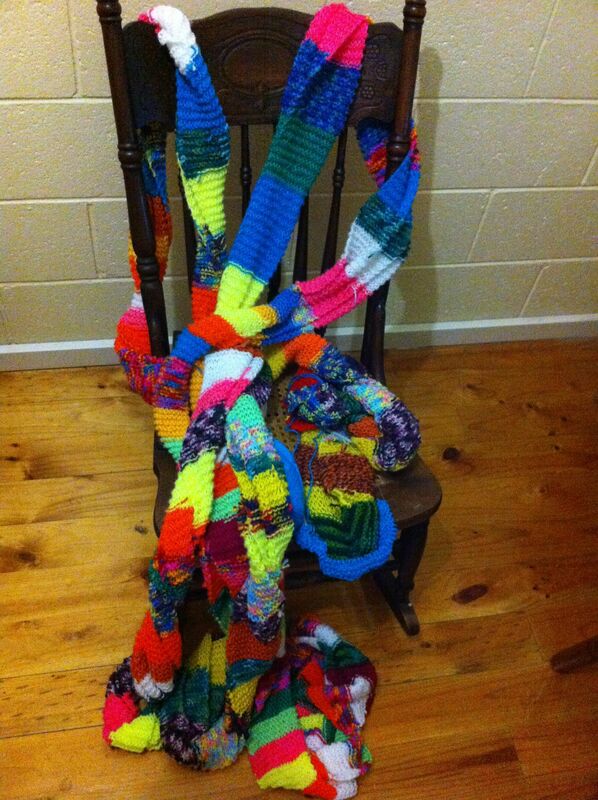 I MAY DO SOME YARN BOMBING WITH IT WHEN I’VE FINISHED IT. 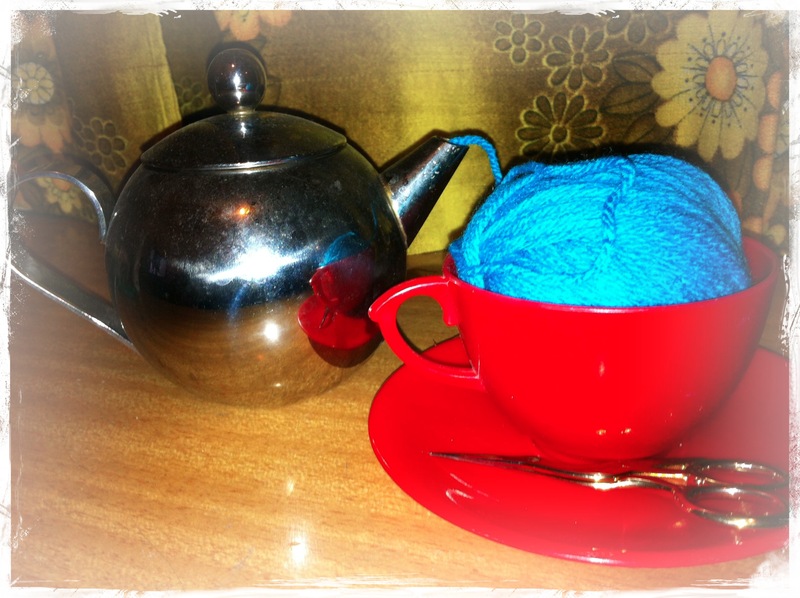 I LIKE TO KNIT AS A WAY OF KEEPING CALM. 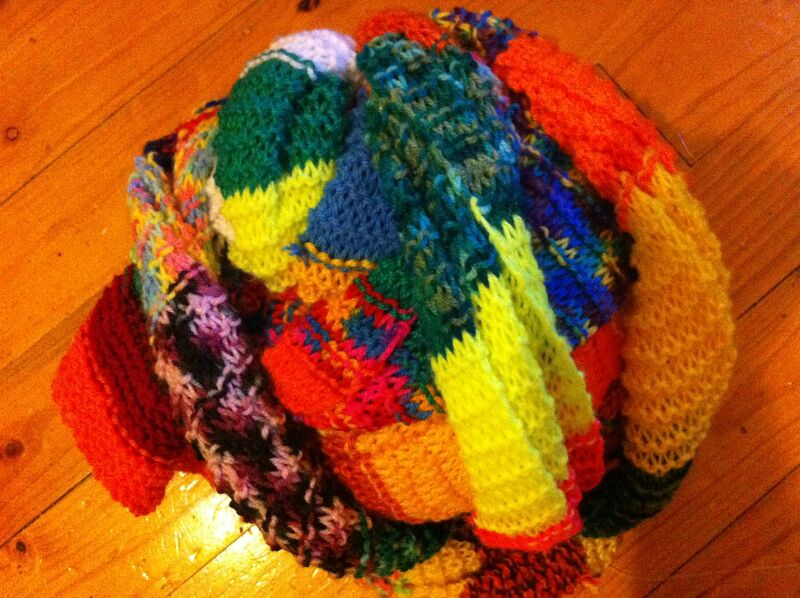 THE ABOVE BALL OF KNITTING IS MY STRESS BALL. 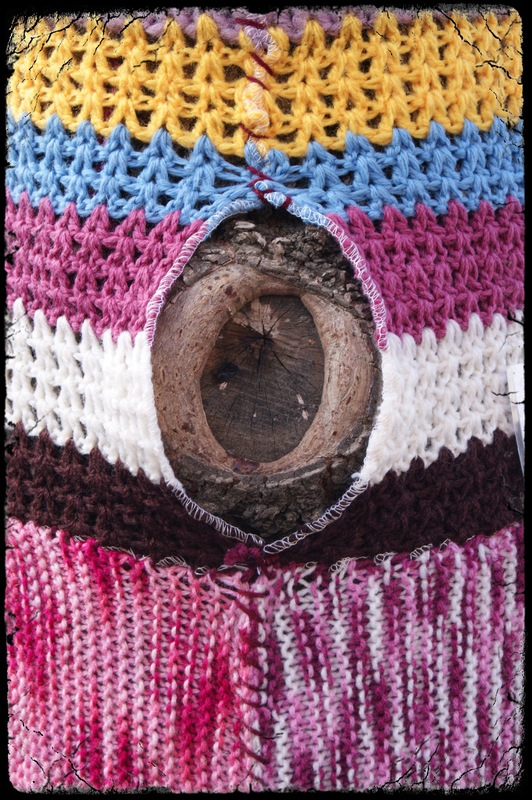 This entry was posted in Uncategorized and tagged knit, knitting, photography, scarf, yarn, yarn bombing on May 14, 2013 by yarnbomb. 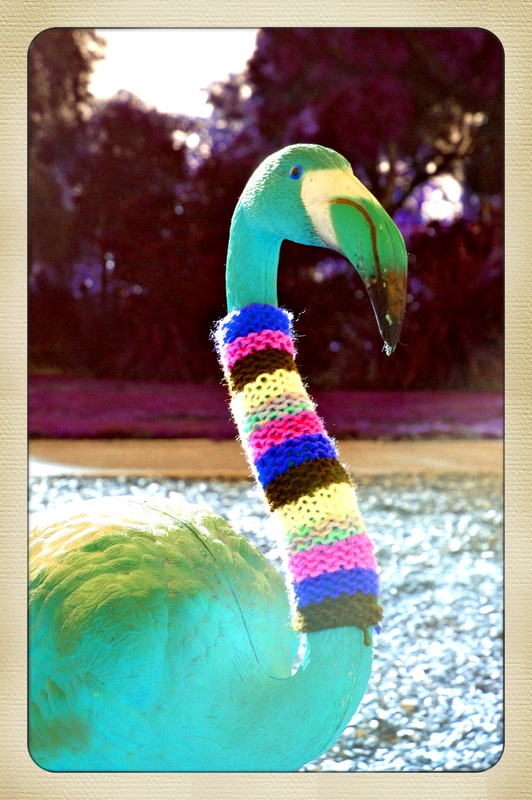 In winter even the birds need warming up with a hand knitted yarn bomb scarf The lamp posts in the streets need warming up with patchwork yarn bomb blankets. 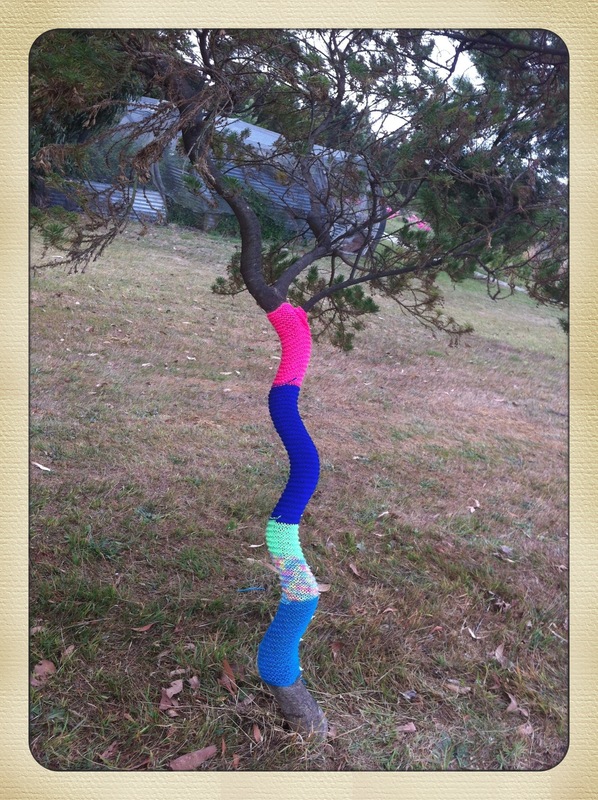 The tree’s in the paddocks are warping in the cold air and desperately need some winter warming with colourful yarn bombing. 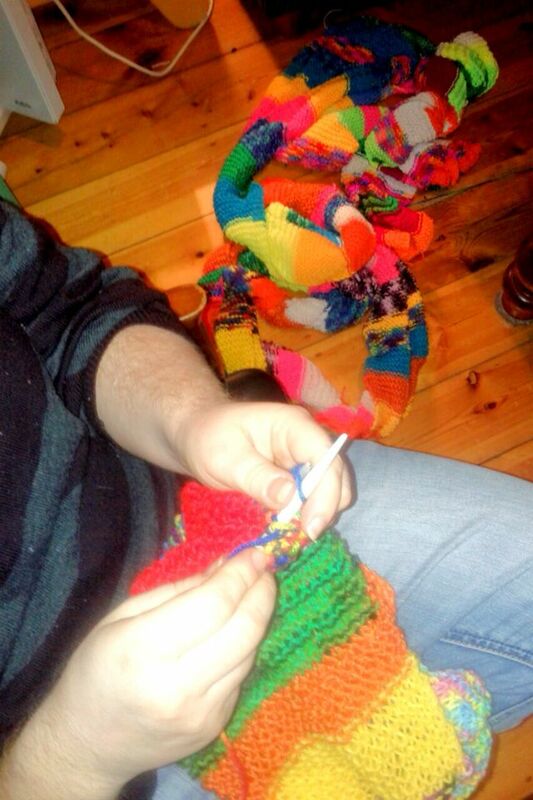 Whether you prefer knitting or crochet you can enjoy having a go at yarn bombing around your home and garden or hit the streets of your local area and share colourful yarn craft with the world. 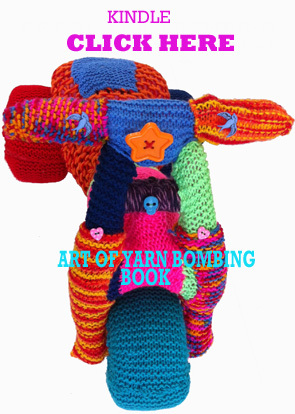 This entry was posted in Uncategorized and tagged craft, crochet, knitting, photography, street art, yarn, yarn bombing on May 6, 2013 by yarnbomb.